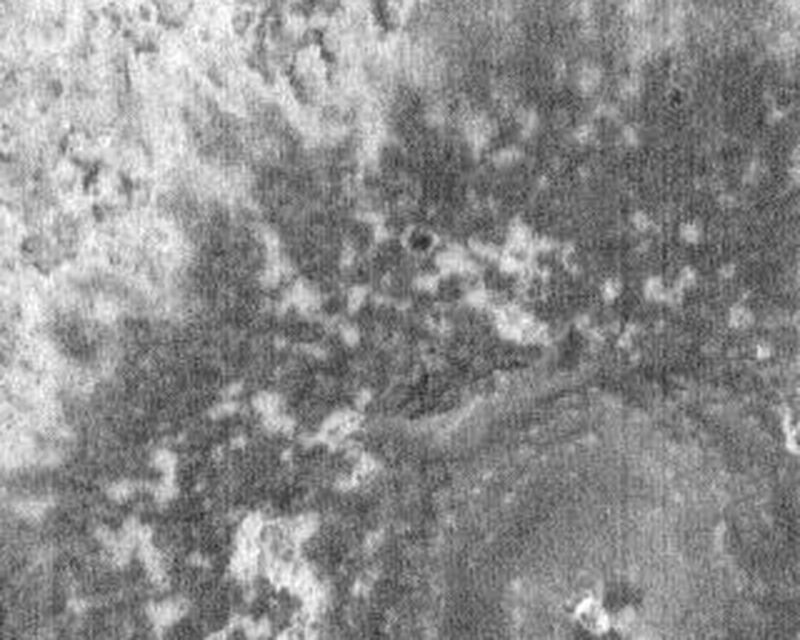 The large crater in this nighttime IR image had its ejecta emplaced in a semifluidized state, creating an outer rampart at the distal ends of the ejecta blanket. This wall can act as a trap for fine wind blown materials. 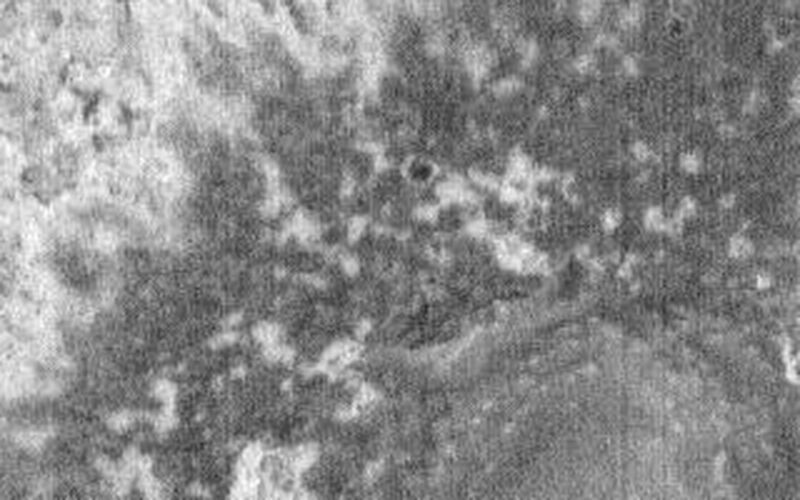 It is likely that part of the darker/cooler materials surrounding the crater are wind blown materials such as dust and sand. 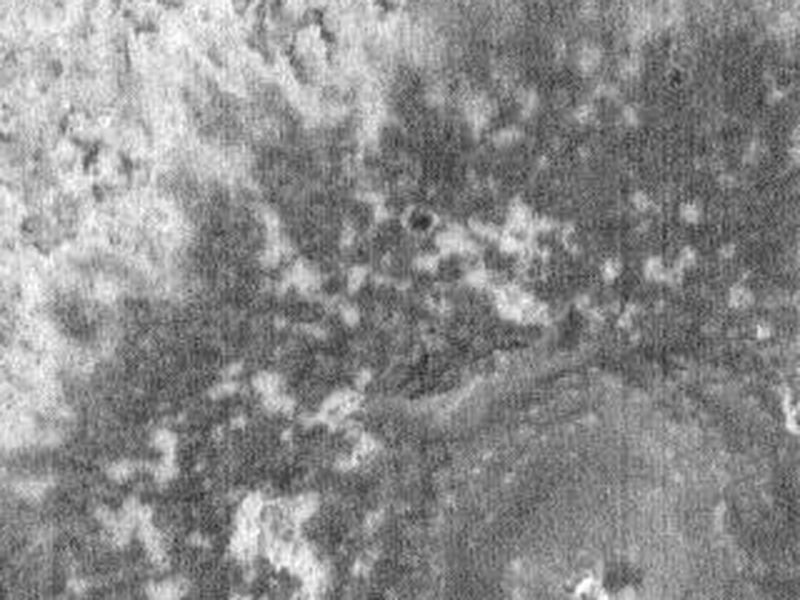 This crater is located north of the Meridiani region of Mars. 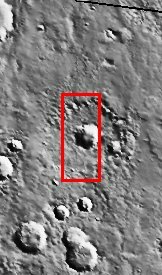 Image information: IR instrument. Latitude 1.9, Longitude 359.1 East (0.89999999999998 West). 100 meter/pixel resolution.